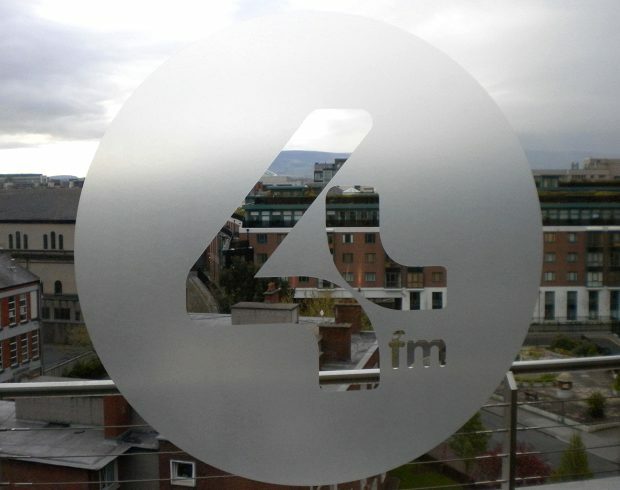 Today saw the debut of Classic Hits 4FM‘s new lineup, and the move of Gareth O’Callaghan to a new afternoon/drive slot, running from 3-7pm. I’m not normally near a radio mid-afternoon, but I made a special effort to tune in today, as I really wanted to hear how Gareth sounded on the new show. He did a superb job on breakfast for the last two years, but freed from some of the more serious morning gloom (the last two years has seen Ireland waking up to ever more depressing morning news bulletins) he is really free to shine, and that he does. Afternoons is Gareth’s old home from his RTE 2FM days, and he certainly sounded comfortable as well as hugely energised on the new show. And I’m pleased to see that his fellow ex-Sunshine newsreader Cathy Creegan has moved with him – they blend well together. I’m not usually a music listener at drivetime – the news programmes on RTE Radio 1 or BBC Radio 4 usually have a hold on me – but listening to Gareth coming stomping out of the 5pm bulletin with Prince’s Raspberry Beret reminded me just how good a good drivetime show can be, and made me think that I might be tempted away from the speech stations more often in future. LV Jenni Baynton, showing light tower and radio mast. 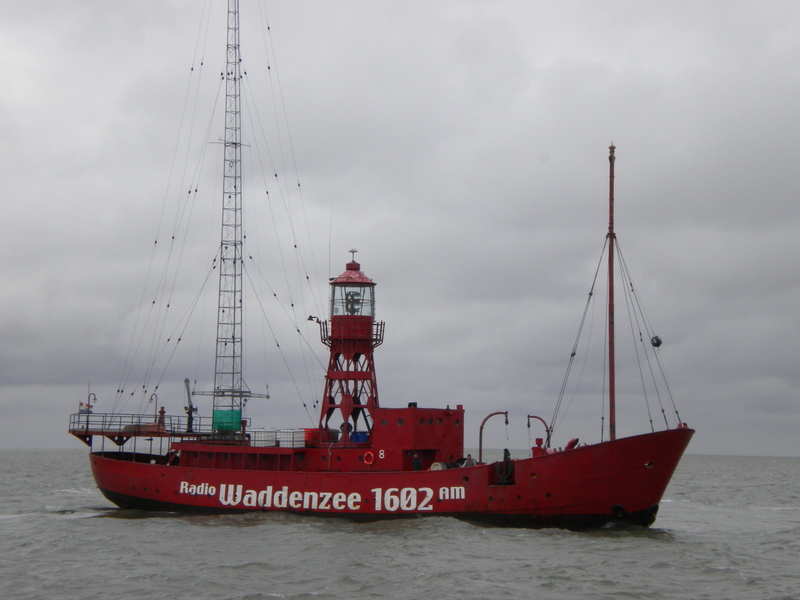 That time of year has come around again – the annual excursion by the Dutch broadcaster Radio Seagull when it puts out to sea for a month on the former lightship which acts as a studio and transmission base for both Seagull and its sister station Radio Waddenzee. The Jenni Baynton will be anchored 8 miles offshore from the coastal town of Harlingen and transmitting on 1602Khz AM, with the usual internet feeds. I will be living on board from June 2nd to 13th, a longer period than last year, and I’m really looking forward to getting the chance to indulge in my love of all things maritime, and rubbing shoulders and exchanging musical ideas with the other Seagull and Waddenzee staff, which will hopefully result in some fine programmes. The ship itself will be offshore until the end of the month, including some time spent located at the island of Terschelling for a local festival. For the duration of my stay on the ship, I will be on air nightly at 7-10pm local time (6-9pm Irish/UK time), every day except Friday 3rd. I’ll blog regularly from the ship when mobile reception permits, and I’m also hoping the peaceful atmosphere on board will lend itself to some quality writing time also, as I’m way behind on my second book. I wonder sometimes, how bright we are as a society, when we have to have signs like this to remind us . .
News this week from Radio Caroline which has confirmed today that it will be leaving the Sky EPG (Electronic Programme Guide) in a calculated move to focus its media spend on the forms of distribution which are most productive in terms of audience. The station will continue to broadcast on a satellite channel, which will be available by manual tuning, details of which are to be announced later. Our recent survey into the listening habits of our audience has shown that only a small percentage are listening using SKY 0199. The findings duplicated the results of a similar survey we carried out 2008 but showed satellite listening had fallen by a further 9%. At the same time on-line listening has increased by around 40% and continues to grow. This information came as we were considering whether to also obtain an EPG on FreeSat. As a result of this we have tried, but without success, to renegotiate prices with both providers. Therefore we have decided not to proceed with FreeSat and to give up our SKY 0199 Electronic Programme Guide. This change may happen either soon, or in the medium term. We will still have a presence on satellite but this will require manual tuning. It is hoped there will be no interruption to the service, but there may be a brief period of satellite silence while the changes are made. We will then explain how to tune Caroline in manually via SKY, FreeSat and any UK standard satellite receiver. When the required information is provided to us, we aim to set up a dedicated telephone help line to assist listeners affected by the change. Information will also be on the web site. There is a substantial cost saving that will result from this decision and we hope that this can be used for future expansion and to improve our current facilities. As a presenter with Radio Caroline in both its offshore days and the current day operation, and as one of the people involved in the start-up of the satellite service in 1999, I can tell you that, despite a little apprehension at first, I can embrace this move as a positive step for the station. When Caroline started its regular and ongoing satellite transmissions in early 1999 (taking in its own right a channel vacated by EKR, from whom it had been leasing airtime for the previous six months) satellite was pretty much the only game in town for moving forward on a legal footing, unless you wanted to sell out to corporate investors. Internet broadcasting, while technically an option, was in the most embryonic of states, with pretty dreadful quality, very limited numbers of streams, and dial-up connections making the listening experience one of limited bursts of music followed by “buffering” for most people. In recent years, ever-increasing access speeds and technological advances in consumer hardware has changed the game profoundly, to the point where even TV (with its much greater bandwidth demand) is watched online frequently. (One example of this is that, according to official figures, 1 million people watched the latest episode of Doctor Who online via the BBC’s iPlayer within a week of broadcast). There is now no real barrier to being able to serve listeners professionally online, and the advent of wifi radios and smart phones has made things even easier. I now routinely listen to Radio Caroline in the car in Dublin via an iPhone hookup, in a close to FM quality that is better than anything we could have wished for in our offshore days. And it’s not just Caroline that I listen to this way – BBC Radio 4 can now be listened to in areas outside its longwave coverage, and I use the iPhone to listen to the evening news on RTE Radio if I am travelling by public transport. Broadcasting live from the Ross Revenge recently, I was delighted to see how many people were listening from all around the world – the USA, South America, Tokyo, Australia – where there is the net, now there is Radio Caroline. By far the vast majority of emails were from people listening online. Here in Dublin, many people I know listen to radio online via apps or wifi radios, but none use the Sky option (or are even aware that it is there – I’m talking “normal”, non-radio people here). With such a growing and international audience for radio online, it now makes real business sense for Caroline to stop paying a huge five-figure sum just for the benefit of a few inches of screen space on the EPG, and concentrate that money on maintaining and improving the service in more productive ways. And, of course, the satellite will be there too, as a manually tuned option – just as it was for most of the early 2000s. It’s very easy to cling to the familiar, but to survive in any business you have to not only become good at doing what you do, but also to know when changing what you do is the right thing to do. Stay tuned to Radio Caroline for details of upcoming changes – via www.radiocaroline.co.uk – and keep enjoying the great album tracks from the last 47 years. Driving across Dublin yesterday afternoon, I caught the tail end of Derek Mooney’s afternoon show on RTE Radio 1, and I listened with a mixture of sympathy and admiration as he coped gamely with the situation that all broadcasters encounter sooner or later – the unresponsive winner. Derek had some big competition running for listeners with a fairly substantial prize, and he and a co-host made much of how they had put all the correct entries into a spreadsheet, and were now picking the winner using a random number generator. Derek handled it well, and kept upbeat, but he must have been talking through gritted teeth. 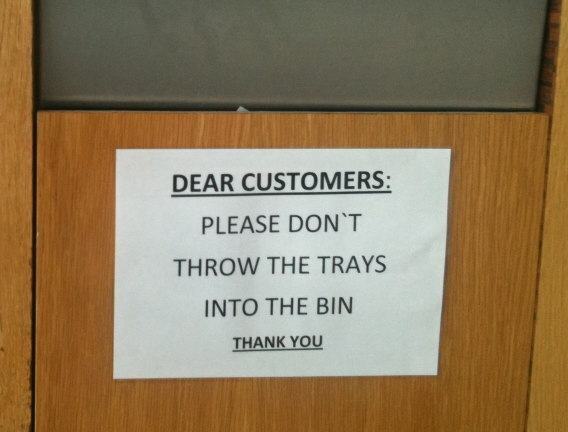 I know I was gritting mine just listening. It’s a dilemma we all face in radio – how to deal with the person who’s won the big prize, but turns out not to be ideal when put on air. 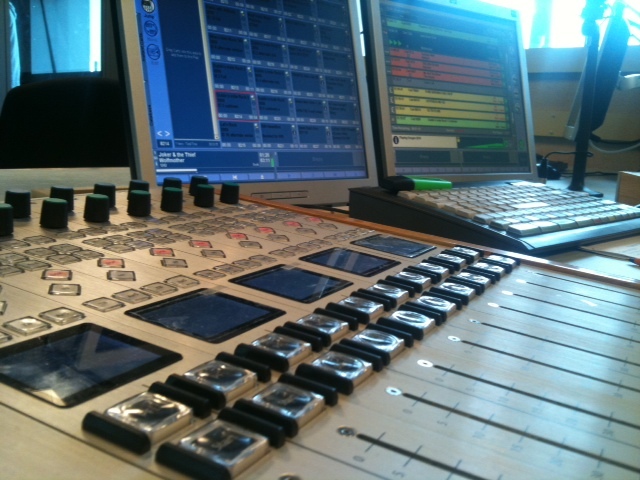 Some stations get around this by pre-recording the winners, calling different people and choosing the most excitabble sounding ones as winners. I don’t believe in doing that myself, the picking and putting on air of a winner should be as “live” and as “real” as possible, even if it does occasionally produce a damp squib. I had this myself a couple of years ago, when giving out a set of weekend tickets with camping rights for a large music festival in Ireland (package worth at least a couple of hundred euro, and tickets were already sold out, so a great prize to win). I had done this the year before, to great excitement from a winner , so I was looking forward to putting this one on air. We had hundreds of text entries, and the winner was one who was texter no 105, so no need to choose who was winner. I put the guy on air and told him he had won. He sounded mildly interested. So, which band are you most looking forward to seeing? I’m not sure. I don’t really like seeing bands live. Gritting my teeth and wondering why he had entered a competition for music festival tickets if he didn’t like seeing bands live, I thought of another angle. Your prize is a pair of tickets for the full weekend – have you decided who you’d like to take with you? My wife doesn’t like going to see bands either. 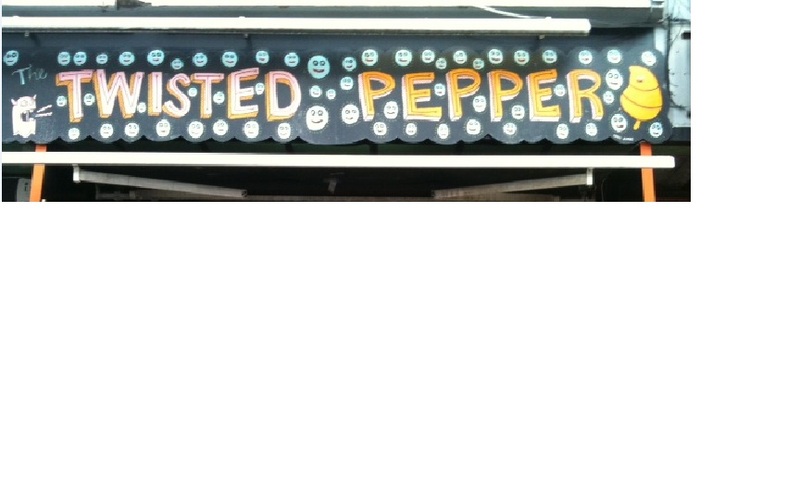 Well, I guess you’ll be popular at work in that case! Is there anyone at work you’d like to bring? I don’t really like hanging out with the people I work with . . .
All you can do as a broadcaster at that stage is cut it short,congratulate the winner again, remind the audience excitedly that there is another pair of tickets still to be given out later in the weekend and kick into a bloody strong song . . . The next year I was apprehensive when my turn came round again, but I had no need to worry. My winner squealed with delight, and you could almost see her jumping up and down. Chris talks about music radio audience, and why niche market stations can sometimes drive their listener figures in the wrong direction when they try to apply “accepted wisdom” to their programming philosophy. I won’t quote him here – you should head over and read the full thing – but I will say that there is more than one station in my own market, Dublin, that could do with following his advice. You may not have come across Christopher England before, but you may well have listened to stations that used him behind the scenes. Chris has always been a bright kid, ahead of the pack, and with a special interest in talk radio he always has something to say, and it’s usually worth listening to. From the landbased pirates in London in the early 80s, through Caroline offshore and on to stations such as TalkSport, Chris has worked at the sharp end long enough to know what’s what, and his career includes launching and running his own satellite radio station – Euronet – with a mixture of speech and music programming that was a little ahead of its time in 1992. People sometimes talk about their “fantasy radio lineup” and if I ever win the lottery and buy my own radio station, Chris will be on mine twice – once with his unique brand of talk show, and again as creative director for evening/overnight 7pm-7am output. Chris’s daily updates will have you laughing, thinking, and occasionally spitting, but they are always worth reading, even those that I disagree with. His columns on mass-market radio should be printed out and pinned up on the programme directors wallboard.